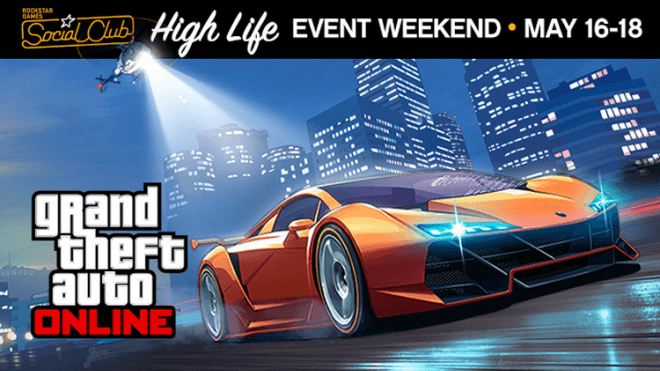 Live the high life and be rewarded handsomely in this weekend’s special Grand Theft Auto Online event. 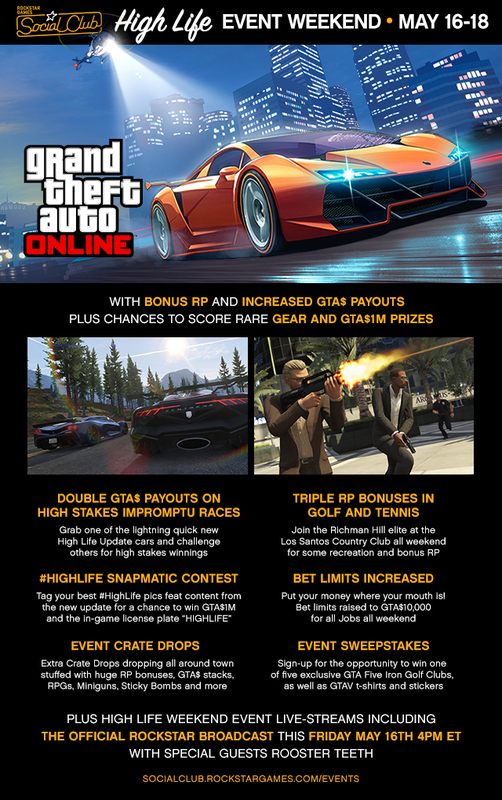 Celebrating the recent launch of The High Life update in Grand Theft Auto Online, Rockstar is offering increased GTA$ and RP payouts in a number of specific jobs and activities in GTA Online’s High Life Weekend Event. Bet limits have also been increased for the time being, while special crate drops containing a number of bones can be found around the Los Santos area. Players also have a chance to win some cool in-game and real life prizes through various contests.